What do you need from a cleaning company? Trust is probably high on your list of requirements. Fast Cleaners Sutton have been successfully cleaning commercial, office and domestic premises for over 13 years demonstrating that our customers continue to trust us, with over half our contracts from recommendations. Reliability is probably also high on your list of requirements. The cleanliness of your working environment or your home is important to you, and you need to know your cleaning company will do a quality and discrete job without you spending your valuable time inspecting the work. Our teams are managed closely by us with regular quality control checks. We have over 12 years of experience in specialising in a diverse range of commercial cleaning and domestic cleaning processes using the latest technologies, incorporating greener working methods. Price has to be a key factor when hiring any cleaning company. Value for money is of importance to all of us. Ask us for a free, no obligation quotation and you will be pleasantly surprised at how competitive our pricing structure is for both domestic and commercial customers. Yes, we offer excellent cleaning services at super reasonable cleaning prices. 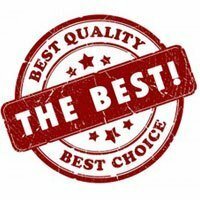 For reliability, competitive prices and a professional service you can trust, Fast Cleaners Sutton are the most outstanding cleaning service you could find anywhere in the Greater London area. For more information please get in touch with us on 020 3322 7030.